This it it! 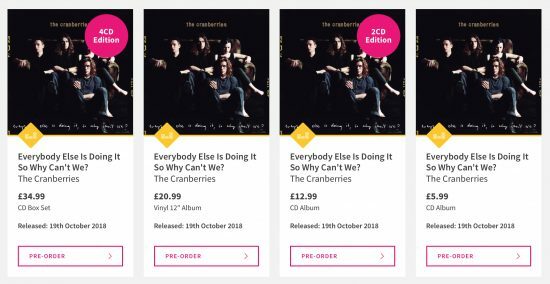 Amazon UK just updated their page and opened pre-order for the Everybody Else Is Doing It, So Why Can’t We? 25th anniversary edition boxset. Click here to preorder on Amazon UK. Other Amazon countries should appear pretty soon. As a reminder the tracklist has already been revealed a few days ago, click here to know more about the audio content of the boxset. Additionally, HMV confirms there will be a 2-CD edition with only the content of Disc 1 & 2. Beautiful, thanks for the info! You rock! BTW, I think that there is something wrong with the Cranberries total album tally on this title when it comes to sales. The Amazon description says the album sold 6 million worldwide. This must be wrong because it has nearly sold this much in the USA ALONE! The album was last certified 5x platinum back in the late 1990s for sales of more than 5 million copies in the USA. NNTA sold 17 million world wide with 7 alone in the USA (7x platinum). So are we to believe that EE only sold a few hundred thousand copies at best throughout the rest of the world? I checked the sales in the UK of EE compared to NNTA and EE sold 600,000 (2x platinum) and NNTA sold 900,000 (3x platinum). It’s a similar situation in all territories where it seems that EE registered at least 2/3 the sales of NNTA. EE WAS a very popular album which sold big all over the world. This is why the six million worldwide is impossible and makes no sense. it’s worldwide tally should be between 10-12 million at least by simply looking at the math. Also, I’m pretty sure sales have gotten a big boost since Dolores’ passing – especially in the digital realm. May I request for a link on the pre order? Im having a hard time exploring Amazon UK..
well… the link is in this very article, where it is written “click here” in cranberry color, just under the first photo. 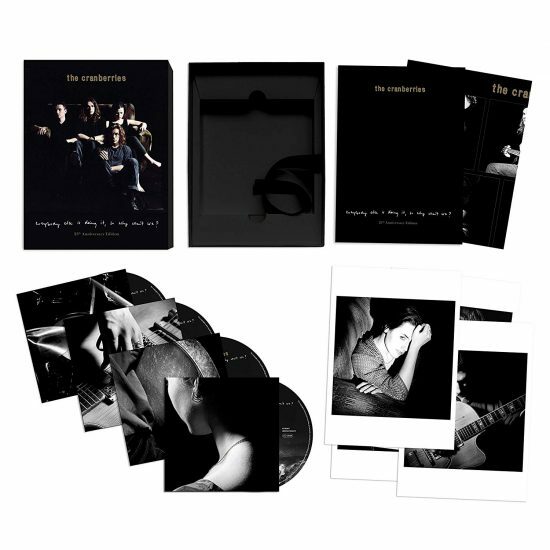 I’m hoping that a vinyl box set will be a web store exclusive like “Something Else” was for a while.